Baltic Aviation Academy, aviation training provider, invites to the Open Door Day event which is going to take place on October 11th at the main training base in Vilnius (Dariaus and Gireno 21). Organizers are bringing the Open Door Day back to Vilnius after hosting three events in Kaunas training base during the exciting flight season. By naming the event “Your career is cleared for takeoff”, organizers are inviting and challenging everyone who has a desire to become a pilot, to finally take that last step. Everything is ready and setup to start the journey: industry that is lacking skilled pilots, well-equipped flight academy, professional instructors, renewed and expanded fleet, multicultural environment, and hands-on lectures are the key components for a successful start of the training. During the Open Door Day, attendees will have a chance to participate in the interactive aviation discussions and tasks, where they will learn more about the skills needed for the profession. Current Baltic Aviation Academy’s Ab Initio School students will present their typical day in the academy and will be there to answer all the questions about the student life. The Open Door Day will also provide a unique opportunity to visit the real representation of the pilot cockpit as well as meet a real pilot face-to-face and ask him of what it is really like to be flying. The highlight of the day will be the opportunity to win a flight in the Full Flight Simulator by participating in the quiz at the end of the Open Door Day! 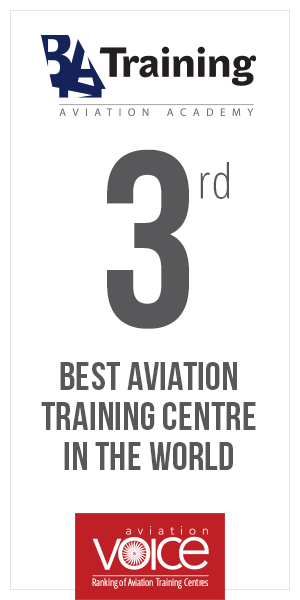 Event will take place on October 11th, 2014 at Baltic Aviation Academy in Vilnius, Lithuania.